Susan E. Busch works as a Nurse Practitioner with kidney patients, and is the mother of three grown sons. She has spoken at national conferences on topics related to kidney disease and also about raising a son with Deletion 22q.11 syndrome. She lives with her husband on the edge of the Cuyahoga Valley National Park in Ohio. When she isn’t working or trying to write, she enjoys the trees and the sky, horseback riding, playing tennis, and eating onion rings with her son Mike. She is currently working on a novel that takes place in a dialysis unit. The reality is that we have placed doctors in the impossible position of playing God with our lives. Even the best realize there is no way they can live up to these expectations. 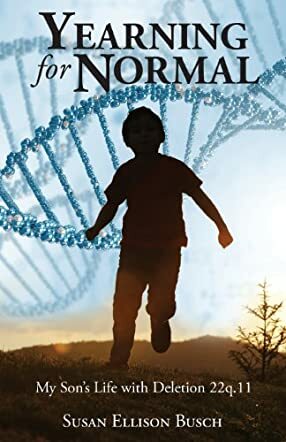 In Yearning for Normal, author Susan Ellison Busch is forced to confront the medical establishment if she is to save her son. From the moment he was born, most doctors had no clue what was wrong with her son. Deletion 22q11 was not in their training so they treated him on the basis of his symptoms or, with some, a syndrome that fitted their knowledge. Of course, they often almost killed him. Susan and her husband Art were nurses, but, even when she began to understand what Deletion 22q11 was and would try to tell the doctors and nurses about it, she was considered a nuisance. It seemed the more educated she became, the less they listened to her and she would have to watch helplessly as they continued to almost kill him. Besides the problems with the medical community, she had to cope with Mike’s serious disabilities and his psychotic episodes. Although he had a few years of almost normal existence (and surprisingly he had many friends who cared about him) most of Susan's life with him was spent sleepless and exhausted. Yearning for Normal is a book that can help anyone understand what it takes to be a great parent or caregiver or just an empathetic human being. Susan and her husband Art have lived a life of unselfishness that has proven that the rewards are worth the effort. If anyone deserves Mother of the Year, it is Susan. From the cover to the richness inside, Susan's book is of the highest quality.